Did you know these ten interesting facts about Humayun’s tomb? The Tomb was constructed after the death of the Mughal King Humayun Bega. Its construction was monitored and commissioned by his first wife and empress Bega Begum (also known as Haji Begum because she had completed the Hajj pilgrimage). After his death, she wanted to create an epic structure in his remembrance. The Humayun’s tomb includes approximately 100 more tombs inside it. The construction of this grand structure took almost eight years. After the death of her husband, Haji Begum’s life was solely dedicated to the construction of this glorious tribute to her late husband. It is also believed that this structure was inspired by the Taj Mahal situated in Agra. The Tomb is the first Garden Tomb to be ever constructed at such a grand scale by a Persian in the Indian Subcontinent. The Char Bagh that is the four gardens that surround the Tomb is in the shape of a quadrilateral and spread across sprawling 30 acres. There are ample examples of ancient Indian architectural marvels, the geometry and marvellous symmetry that is portrayed in the monuments. You can find similar architectural genius in the Humayun’s tomb. The Paradise garden is built according to the concept of Islamic Paradise. The four rivers or water outlets depict the perfect quadrilateral layout, they reflect the four rivers that flow in Jannat (Islamic Paradise). The four squares further divide into such a way that it creates 36 squares in total. This design is typical of Mughal Gardens. The water outlet appears from one side and disappears from the other side of the tomb, this is representative of the river flowing beneath the ‘Garden of Paradise’, stated in one of the Quranic verses. Another thing that portrays Islamic Concept of Paradise is the eight-sided Chambers. It is one of the first specimens that depict the Double- domed concept structures. 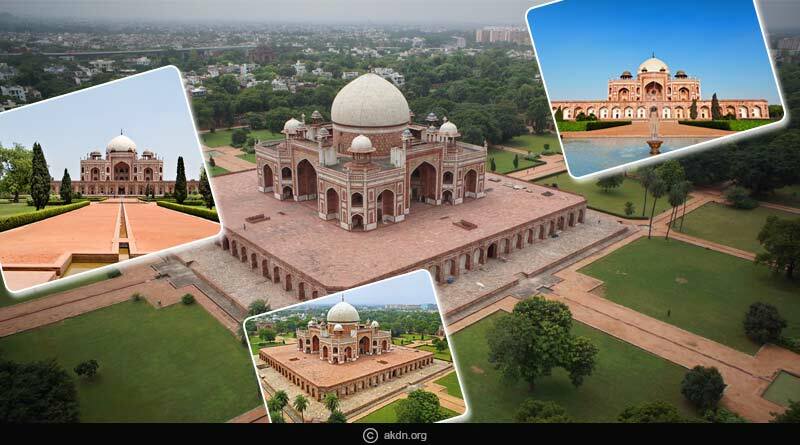 For more details on ten interesting facts about Humayun’s tomb and related updates, like and subscribe to tentaran.com.